On the heels of a Rebecca Robbins STAT report on an apparent blatant misuse of philanthropy by a medical mogul and the associated misrepresentation of its successes, NantHealth’s stock fell 23 percent yesterday. This looks like another ugly example of self-dealing philanthropy in the world of medicine—but this one comes with some unusual bells and whistles. Hidden in the wording of the University of Utah grant agreement, however, was a requirement that had $10 million of that funneled back into NantHealth, one of the good doctor’s own companies. The transaction—which is what it appears to have been—landed him a tax deduction, the philanthropic halo, a stream of steady cash, and access to the university’s patient data, which he needed to build a new commercial product meant to assess patients’ risk of rare and inherited diseases. But, that’s not the end of it. Through its relationship with the university, the company then inflated the number of test orders it reported to investors late last year by more than 50 percent. But both Kiefer and the geneticist leading the research told STAT that the work they ordered from NantHealth had nothing to do with GPS Cancer. They paid for straightforward genetic sequencing, meant strictly for preclinical research. The geneticist, Deborah Wood Neklason, said she could not understand why NantHealth would count the work as orders for GPS Cancer. STAT reports that the four tax experts it asked to review the contracts agreed that the Utah deal did not pass a sniff test, as it appeared to violate rules concerning charity and self-dealing. 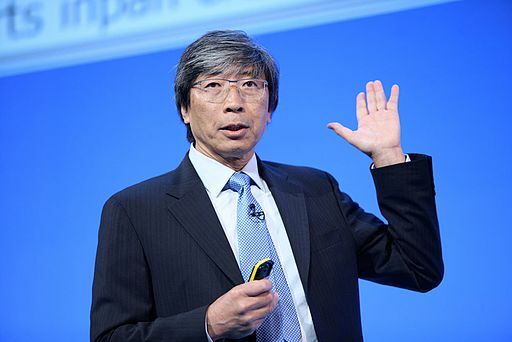 Marc Owens, a tax lawyer with Loeb & Loeb and a former head of the IRS’s Exempt Organizations Division, said the University of Utah was essentially laundering the money for Soon-Shiong. “My first reaction was surprise that the University of Utah lawyers agreed to sign this,” said Brian Galle, a Georgetown University law professor who specializes in nonprofit law. “We pretty clearly have an optics problem,” said the more restrained Morey Ward, a tax lawyer with Ropes & Gray.